Common Problems with the Buick Enclave. 2014 Buick Enclaves & Other Common Years! 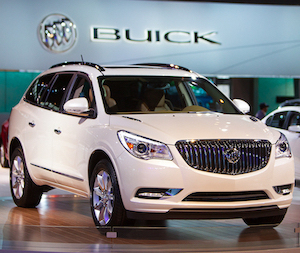 The Buick Enclave is proof of Buick’s transformation: they aren’t just for old people anymore. It’s a classy premium SUV with attention to detail and high-end features, plus a powerful engine and available all-wheel drive. What more could you ask for? If you’re one of the many owners, you might ask for fewer Buick Enclave issues. While not to the same extent as some other Chevy, Buick, and GMC models, the Enclave has had its fair share of concerns. And what’s particularly unfortunate is that the concerns have been rather serious over the years. If you need to sell your car with a blown engine, doing that online is usually the way to go. The first generation Buick Enclave is where all the noise comes from. Honestly, there’s a bunch of engine and transmission noise, plus a bunch of complaints otherwise. It’s kind of ironic – the Enclave was widely recognized as one of the quietest interiors in its class! The primary concern with the Enclave is its 3.6-liter V6 engine. The 275-horsepower V6 was upgraded to 288 horsepower in 2008, but the problems didn’t quit. All through the first generation, Buick Enclave problems centered around the unreliable engine. Blown engines were reported time and time again by angry Enclave owners. The transmission couldn’t take the daily grind (pardon the pun), and would often leave Enclave owners stranded roadside. Another common problem with the Buick Enclave was in the steering and suspension. Strut replacement was overly frequent and the rack and pinion could spring a leak for seemingly no reason – both of which are expensive repairs. When you have serious engine problems it's usually near impossible to trade in your blown engine Buick. The epicenter of Buick Enclave complaints is most certainly the 2008 model year. It seems the engineers at General Motors didn’t take enough time to refine the 3.6-liter V6, nor did they use the quality of parts that customers expected for longevity. There were several complaints about the engine. In some cases, the timing chains became stretched and loose, leading to stalling, rattling on startup, and even a blown engine if the timing chain broke. Many Enclave owners complained about excessive oil consumption, catastrophic failure resulting in a hole in the engine block, and more. Ever wonder how much an engine rebuild or replacement costs? The typical repair is a complete engine replacement to the tune of around $6,500. Not only does the 2008 Enclave have engine problems, but the transmission is rather weak. So much so that at one point the backorder list was long enough to keep some Enclave owners out of their cars for two to three months – and that’s while it was under warranty! If you need to pay for the repair, it costs around $4000. As if that wasn’t enough, the power steering system is a source for leaks in the 2008 and 2009 Buick Enclave. It’s well documented that rack and pinion replacement is a rampant problem for these models. By 2010, Buick mostly corrected the transmission issues with the Enclave, which was great news. Much to the chagrin of customers though, 2010 Buick Enclave engine problems persisted. Most notably, the problem of stretched and broken timing chains dominated the conversation with damaged and blown engines for many Buick Enclaves. Cracked engine blocks are also prevalent for the 2010 Enclave, and the only repair is a complete replacement motor. Whether it’s a rebuild or replacement, an engine repair of this magnitude is around $7,000. During the 2010 model year, power steering issues, leaking struts, and some air conditioning and heating problems were notable. At some point, Buick took customer feedback to heart, and back to the drawing board too. By 2011 Buick Enclave reliability had significantly improved. In fact, the Enclave’s improvements contributed to Buick’s dramatic boost in initial quality. That's great news for recent Buick owners, which means less engine problems and engine diagnosis time spent. It’s not to say there weren’t any problems, just that there were much fewer Buick Enclave complaints than most makes and models. A facelift in 2013 was much needed to refresh the Enclave, but it also brought a few problems to the surface. Again, the Buick Enclave had transmission issues – this time, it was for harsh shifting that could be attributed to either a broken motor mount or an internal transmission failure. Timing chain noise and subsequent failure still caused the occasional blown engine but with less frequency. Still, when it happened, the repair was a complete engine rebuild or replacement. By 2015, the Buick Enclave was further refined mechanically. The previous transmission problems were almost non-existent, as were the frequent engine failures. While normal warranty concerns and wear-and-tear still came up – and continues to come up – the Enclave finally fulfilled its role as a premium crossover SUV. What to Do with a Buick Enclave with a Blown Engine - Sell Your Buick for Money! If you’re one of the many Buick Enclave owners who have a blown engine, you’re staring at an expensive repair estimate. You may not have the money to complete the repairs, or your Buick Enclave may be worth less than the cost of the repairs. What can you do about it? Instead of shelling out thousands of dollars for your older Enclave’s engine, consider selling it as is. 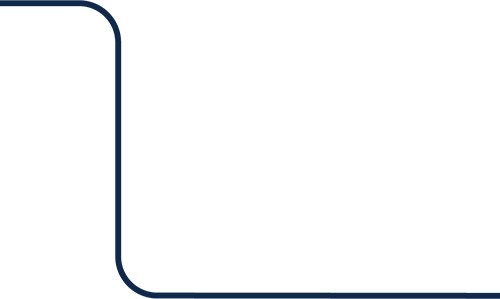 CarBrain will make you a fair offer for your Buick Enclave in as-is condition. If you like the offer and want to accept it, CarBrain will take care of the rest. You’ll be paid fast for your vehicle, and we’ll pick it up from you for FREE. So see how much your Buick is worth right now!